What is it about lavender that makes it the #1 choice for bath salts? Well, it could be lavender's delicate and harmonizing scent that seems to agree with everyone's senses. Or, maybe it's all of the therapeutic benefits associated with Lavender. It works wonders on the skin- Its antiseptic qualities can help to treat certain skin conditions such as acne and also can reduce inflammation. 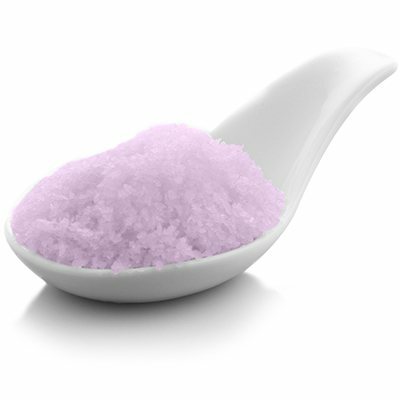 It also helps relieve muscle aches and pains and its aroma can even remedy headaches. 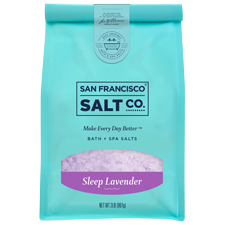 So, when you draw a warm bath and add lavender salts, you're sure to create an enjoyable experience. Simply smelling the aroma of this essential oil calms and relaxes ones mind and promotes a restful, uninterrupted night's sleep.